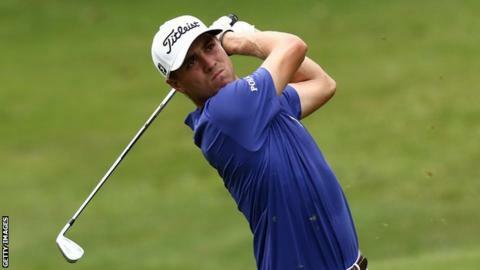 American Justin Thomas won his first PGA Tour title with a one-shot victory over Australia's Adam Scott in the CIMB Classic at Kuala Lumpur Golf Club. Former world number one Scott was the clubhouse leader after a nine-under 63. But Thomas, 22, who posted a course-record 61 on Friday, birdied the 15th, 16th, and 17th then par on the 18th to card a 66 and finish on 26 under. Scotland's Russell Knox was tied for 21st on 14 under with England's Paul Casey a shot back in 24th place.